Acer has effectively discontinued to Gateway brand except for a few models. This means systems like the Gateway One ZX6971 are no longer manufactured. If you are looking for a new all-in-one PC, be sure to check out the Best All-In-One PCs for some more current options. 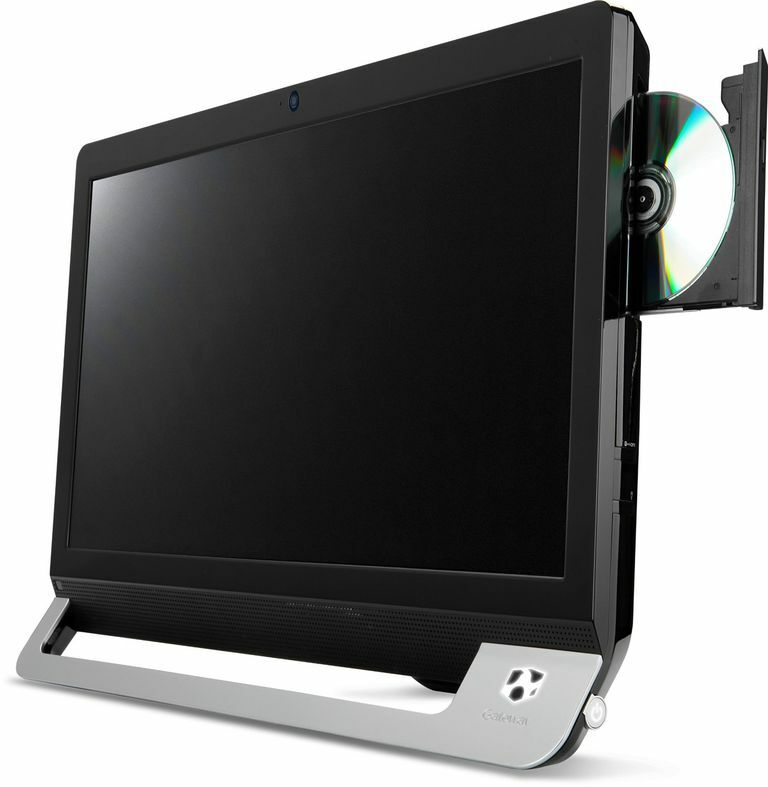 January 23, 2012 - Gateway has made some notable improvements to its all-in-one platform with the Gateway One ZX6971-UR31P. These include a faster quad-core processor and the inclusion of USB 3.0 ports. The problem is that beyond the design and a few extra ports, not enough has really changed to the system. It still relies on integrated graphics that put it behind much of the competition that isn't that much more expensive and the limited tilt does hurt the touchscreen's functionality compared to new units that can lay flat if necessary. Still, it is a decent value for those looking at an all-in-one for under $1000. 22" x 16.6" x 4.4"
The Gateway One ZX6971-UR31P is an upgrade of the ZX6961 but with a very different look at feel that defies the minor model number change. It also differentiates itself from the parent Acer Aspire One Z5. One of the ways that it does this is by offering a quad-core Intel Core i5-2400S processor over a dual-core Intel Core i3. In addition, it comes with 6GB of DDR3 memory for an overall smooth experience in Windows 7. This gives it a boost when dealing with more demanding tasks such as video editing or heavily multitasking. It is a bit slower than the processor in the Apple iMac 21-inch but it does cost several hundred less. Storage features for the Gateway One ZX6971 have shifted a bit. The previous version came with a quite large 1.5TB hard drive but that has been reduced to a 1TB drive most likely the result of the hard drive production issues from late 2011. It still uses the same dual layer DVD burner for recording and playing back CD or DVD media. It would be nice to see a Blu-ray drive included but it likely would have pushed the price over $1000. One big change though is the inclusion of two USB 3.0 peripheral ports that were missing in the past version. This allows for easy upgrading of the storage space with high-speed external drives. While the external casing has changed, the 23-inch multitouch display panel remains pretty much unchanged. The touch function is surprisingly responsive and features a full 1920x1080 resolution for full 1080p HD video support. Gateway still includes its Portal software that enhances the touch capabilities of Windows 7 but has limited features compared with HP's TouchSmart. One disappointing aspect is the stand though that uses a simple behind the screen support that has a very limited tilt range unlike what Samsung and HP are producing in their latest touchscreen models. As for the graphics, they are still limited to using the Intel HD Graphics that are built into the Intel Core i5 processor. This is disappointing as the integrated option does not have sufficient 3D performance for even casual PC gaming. In addition, it can only accelerate non-3D applications for those that are compatible with the QuickSync feature. One interesting change of the Gateway One ZX6971 is the power system. The previous ZX6961 was a bit on the large size but it had the advantage of not requiring an external power adapter brick. The new version has slimmed down the case but to do this, the power adapter had to be made external. Another change is that the base of the system now has a slot that resides under the display. Now it could theoretically be used to allow the keyboard to be stored under the display when not in use but the fit is very tight that it isn't practical.